The Argentine Peso has rallied the last few days - after crashing to a new record low - in what some consider a vote of confidence in central bank and government promises to crackdown on inflation. Prices climbed 4.7 percent in March from the month before, the fastest pace since October and exceeding all eight forecasts in a Bloomberg survey. Annual inflation accelerated to 54.7 percent from 51.3 percent, putting President Mauricio Macri’s re-election bid further at risk. In response to this surge in inflation, Argentina today said it will freeze prices on 60 food products until October. This follows yesterday's central bank announcement that it would fix the exchange-rate band for the rest of the year instead of allowing it to depreciate. To prop up the peso, the government's already selling $60 million a day of the cash it got from the IMF. 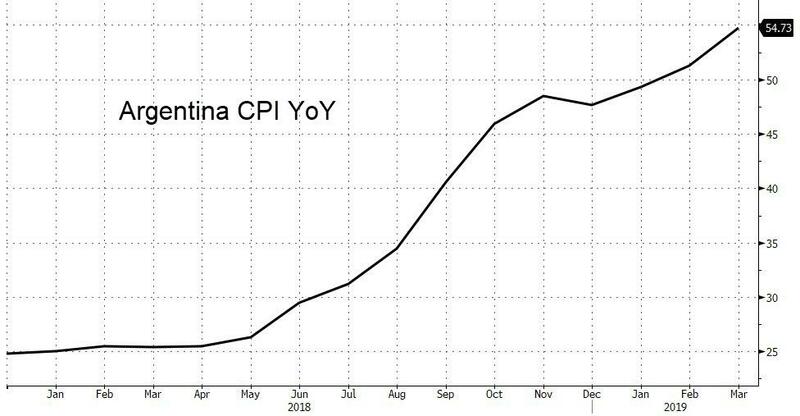 "Breaking inflation inertia remains a difficult challenge for the Argentine authorities," IMF chief spokesperson Gerry Rice said in a statement. "Their current monetary policy framework is appropriately designed to tackle this challenge." - Alberto Ramos at Goldman Sachs. But Bloomberg's Sebastian Boyd sums up the farce best: the measures the government and bank are taking are short-sighted and damaging. 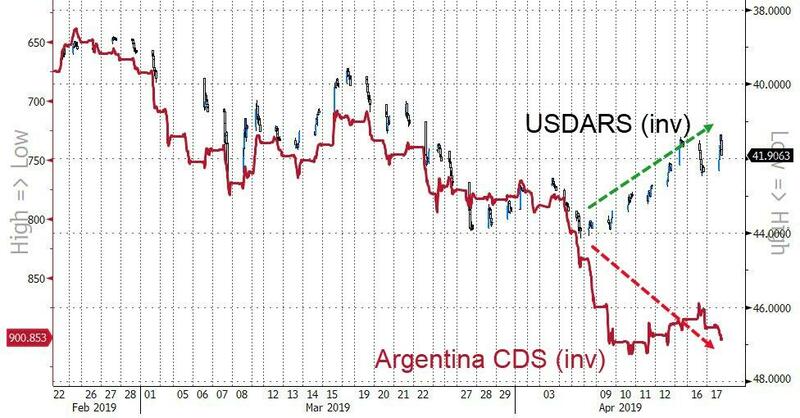 Price controls and FX manipulation are part of what got Argentina into this mess and are aimed at boosting president Mauricio Macri's re-election chances -- at the expense of economic orthodoxy. It's a sign of weakness and fear.